The What a Girl Needs collection is brand new from Grace-full polish and is the sister collection to the What a Girl Wants collection. Both collections are inspired by images from Theresa's fans. 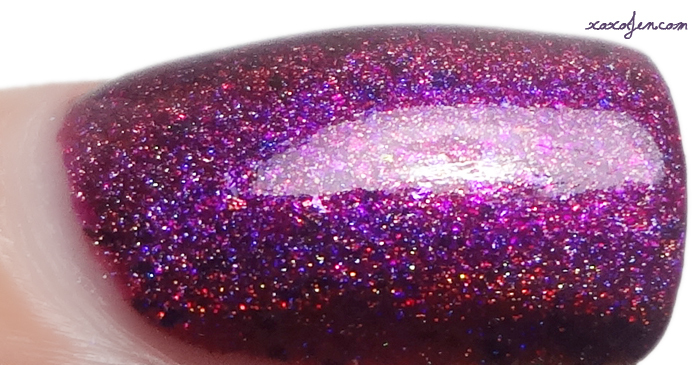 You'll find varying finishes such as holos, shimmers, glitters, and even a crelly flaky. I've included the brand's descriptions and my comments are underneath those. 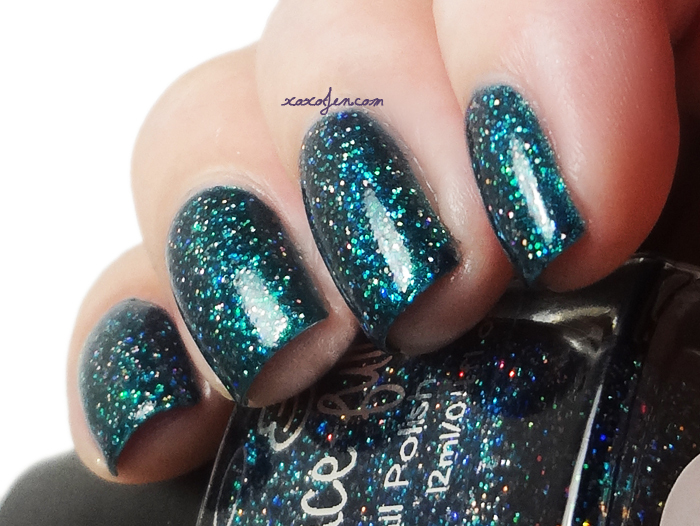 Royal Forest Nymph – a deep jewel green linear holo that has a slight shift to gold. 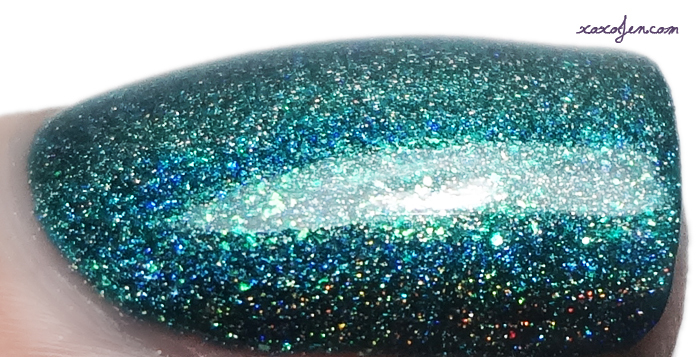 Beautiful teal-leaning green polish with such depth that it was difficult to capture on camera. I see both green and blue sparkles in addition to the holo rainbow. How did she do it?! I wore two coats with topcoat, formula was like butter and easy to control on the nail. I had very little clean up with this and all the other polishes in this review. UNF. I can't EVEN with this polish! 2 coats, topcoat, great formula! 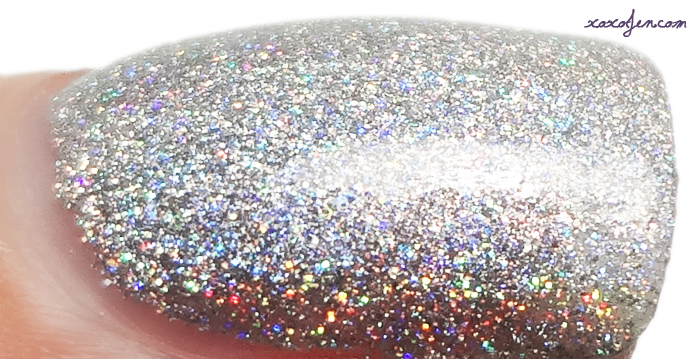 Rain Upon The Moon - It's the baby sister to White Rider and has the same super sparkle just with smaller silver super holographic glitter, a silver tinted holo base and rainbow flakes throughout. I tend to enjoy a really bright silver - this one is like wearing white diamonds on your nails. I used three coats with topcoat and the formula was great. I fell for this one right away. 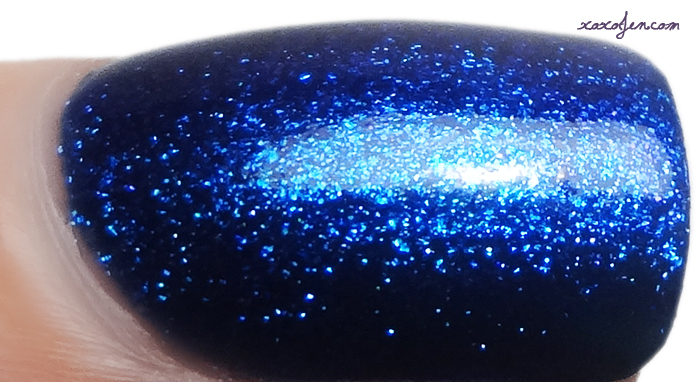 It is the most perfect sapphire blue polish I have ever laid eyes on. Dark and rich but not too dark, it still looks blue on the nail from a distance. Super shimmery, especially where the light hits it. So glowy! I didn't see any teal at all until I was processing the macro, there are bright aqua flakies in there! Theresa really knocked this one out of the park. 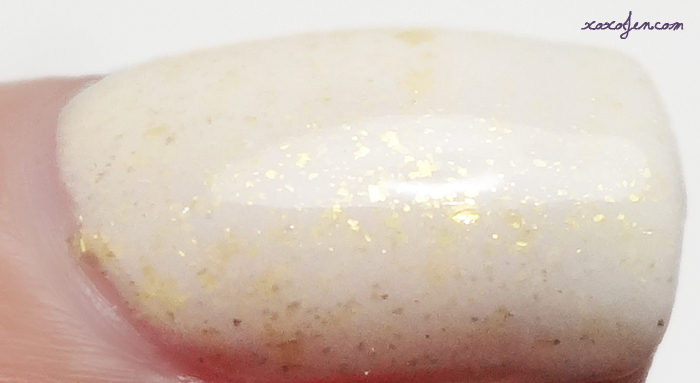 My search for the perfect birthstone polish is finally over. I'm wearing this one on my birthday on the 19th! oh yeah - two coats, topcoat - brilliantly smooth and easy to apply. Such a nice neutral shade still with plenty of bling. Work appropriate for most places and totally fun to stamp over! It has a creamy formula and is opaque in two coats. 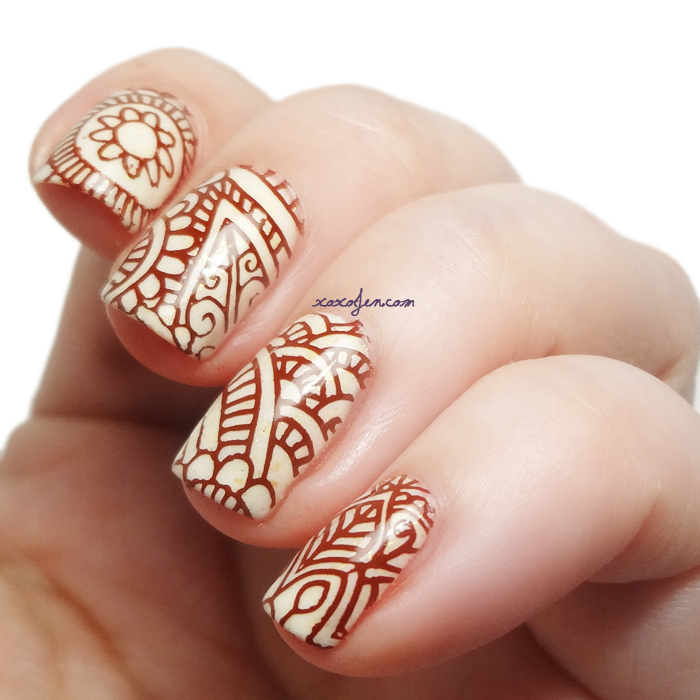 I chose to use MDU stamping polish in a brown shade and a henna style stamp. What do you think? 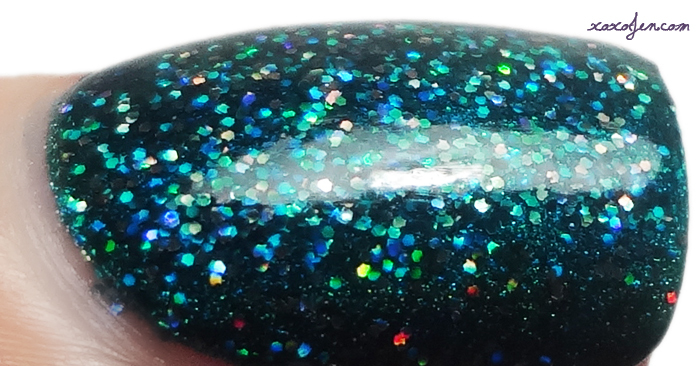 Super sparkly with holo bursts in every flash! I wore one easy coat over Royal Forest Nymph. This collection releases on September 1st at 7pm AEST at Grace-full's online boutique. Also look for these to be launched in the Ella Ann shop at a date to be announced. These are looking so pretty. 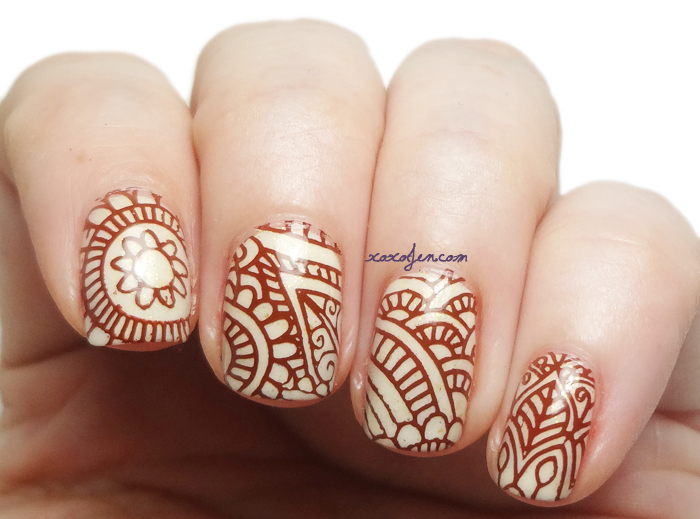 I really like the stamping too. Thank you Lisa! I enjoyed all of these polishes, especially Pinktopia and Blue S-teal !